A few weeks ago my friend Liz and I decided we wanted to share with you all about a big dream of ours. Whenever Liz and I have our late night chats about work, we find ourself coming to the same conclusion every time: we want to help grow our industry and spread the beauty of birth photography. Birth photography is different than any other type of photography…from living the on-call lifestyle, to working in difficult lighting situations and everything in between. 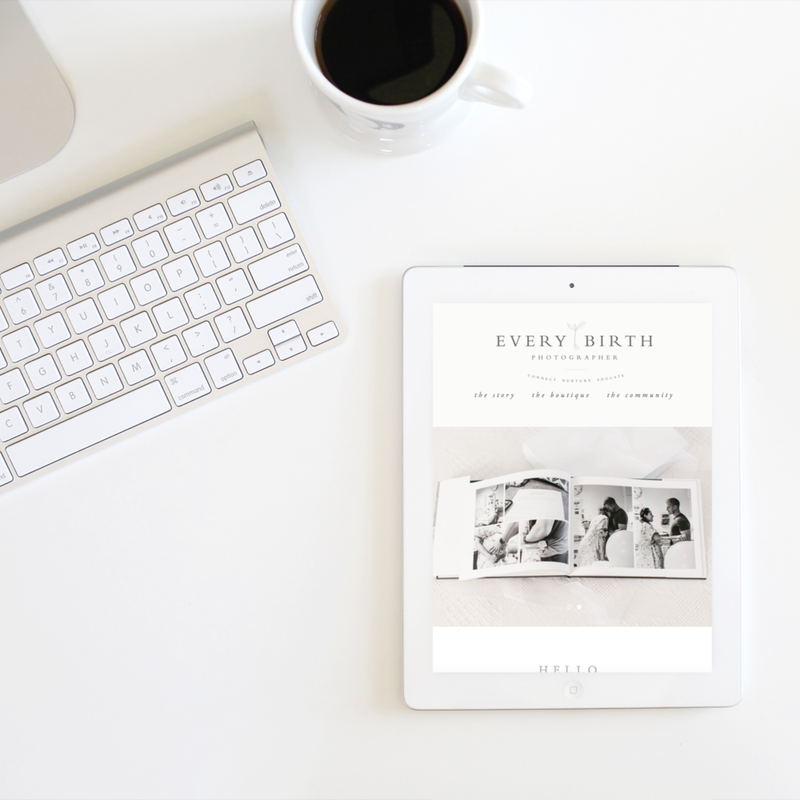 We ultimately decided to host a Birth Photography Q+A for photographers getting started in the birth industry or who were considering getting started in the birth industry! 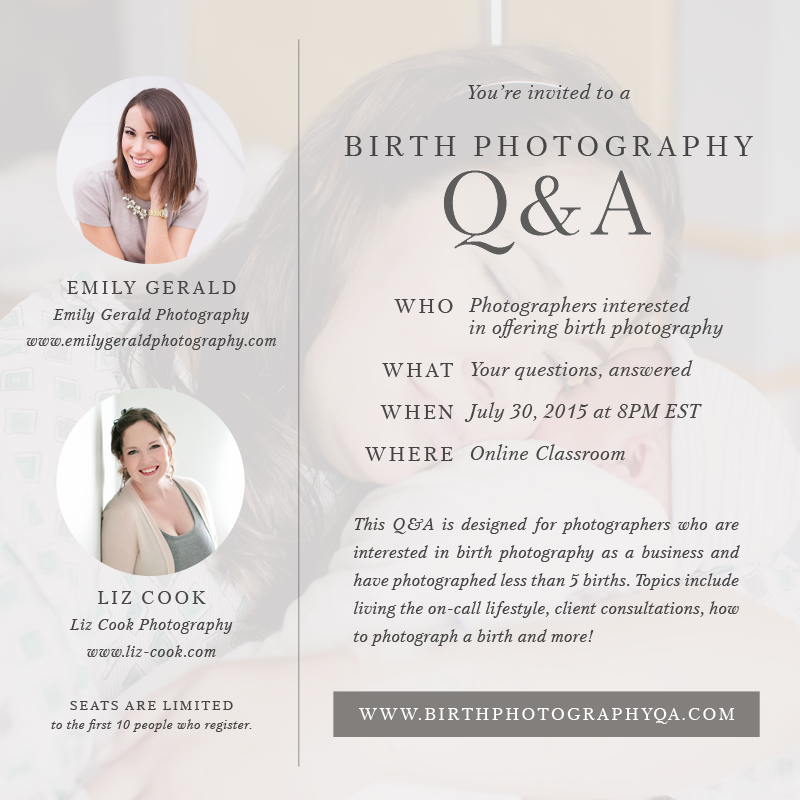 We opened 10 seats for our first ever Birth Photography Q+A and we waited. Throwing your dream out into the world can be a scary thing, but we were prepared to rock it out if even ONE person decided it was worth their time to attend. We were elated when not one, not two, but sixteen people signed up within the first hour!! So we planned and practiced and finally hosted our first official Birth Photography Q&A back in June and it was everything we hoped it would be! We laughed, we had fun, and the attendees asked great questions and took a ton of notes. "As a brand new photographer, I ate this information up! I think I have 5 pages of notes :) The pace was great, the information was useful and Liz and Emily were so easy to listen to and learn from! Thank you so much for your time and energy!" "Emily and Liz, are such beautiful women inside and out! They truly want you to learn and grow for yourself, the birthing industry, and your clients. During the Q+A they were very prepared, professional, and honest in their answers and gave a well round interpretation of all of the questions asked. Be ready to take notes and giggle because these ladies are a hoot to be around!!! :)"
"I could not write fast enough as I took notes on all the information you shared. I so appreciate your openness and honesty because, as a new photographer, I have struggled to find professionals who are interested in sharing their passion in a teaching model. I feel so excited to find my first mamas and share in their experience! I also feel more confident in the process and have found grace to give myself as I learn! This Q+A was worth every minute AND I feel sure that even if I attended another one, I would learn even more. Thank you so much!" Today we are excited to announce that we are planning another online Birth Photography Q&A at the end of this month on July 30th at 8PM EST! The seats are limited to the first ten people who register. For that reason, we wanted to give ample time for those of you who are interested to plan accordingly! We will open registration on Tuesday, July 14th at 10AM EST at www.birthphotographyqa.com. This Q&A session is designed for photographers who are interested in offering birth photography as a business service and have photographed less than 5 births. We discuss topics such as how to life an on-call lifestyle, how to work in difficult lighting situations, and how to handle client consultations with prospective birth clients. Mark your calendars! The link will go live on Tuesday at 10AM EST!